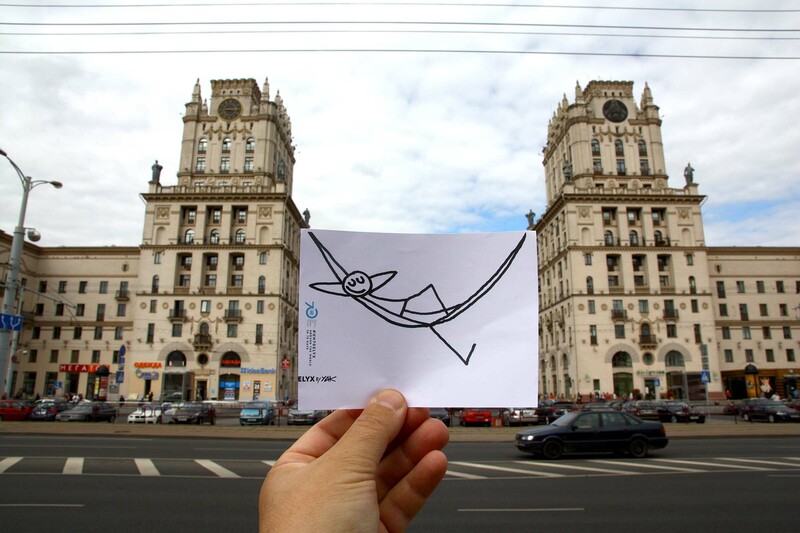 A 400-mile hop and Elyx has gone from Moscow to spend the day in Minsk, the capital city of Belarus. A founding member of the UN since 1945, Belarus has been host since 1992 to a number of UN family Agencies, Funds and Programs such as UNDP, UNHCR, UNFPA and UNAIDS. Elyx also learned that Belarus was the first in the former Soviet Union and among the CIS countries to open a UN office on its territory and that there are currently 11 UN agencies operating in the country, all of them with their own specialized mandate. 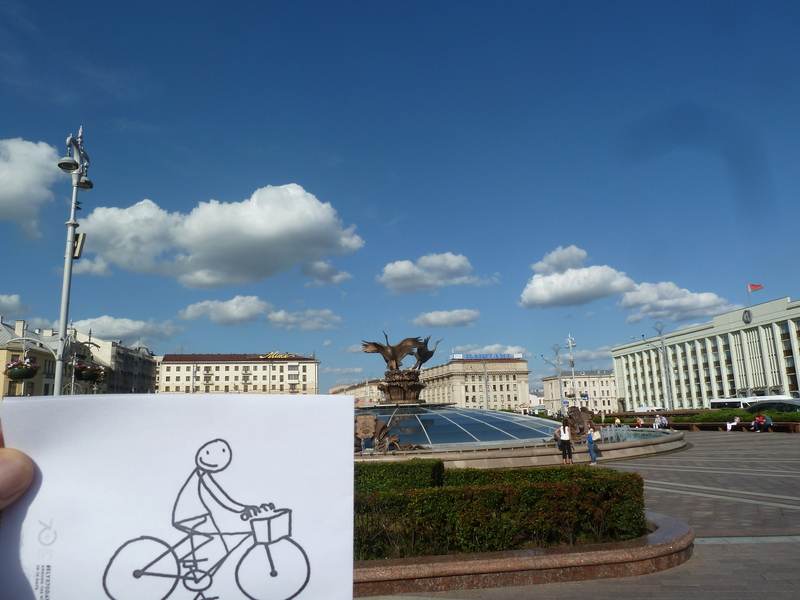 What does one do on a sunny day in Minsk? One takes out the bike and heads for the spectacular Independence Square, host to the houses of Parliament. 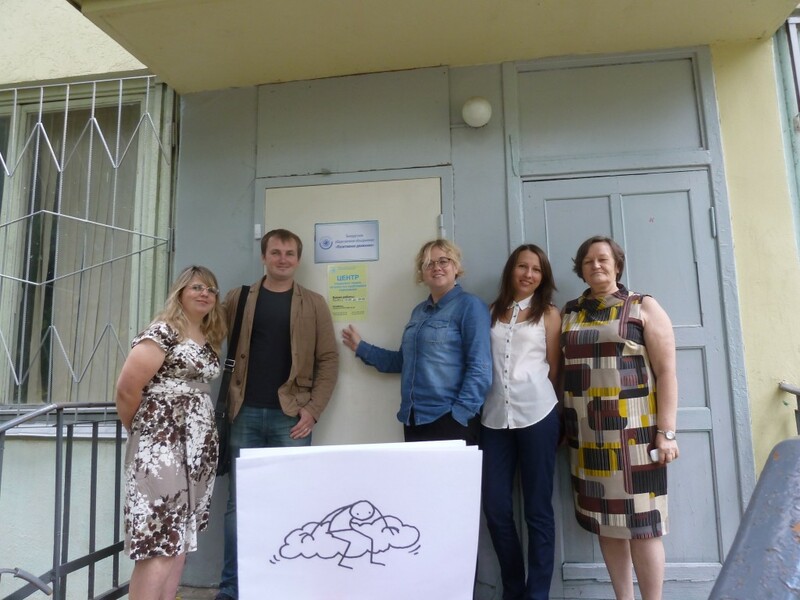 Elyx is warmly greeted by The Positive Movement team at the National health centre for HIV and drug abuse. Elyx is saddened to hear from UNAIDS colleagues that the number of people living with HIV in the country is around 29,000. Much has been accomplished, but much remains to be done to halt the spread of the virus, UNDP colleagues tell Elyx. 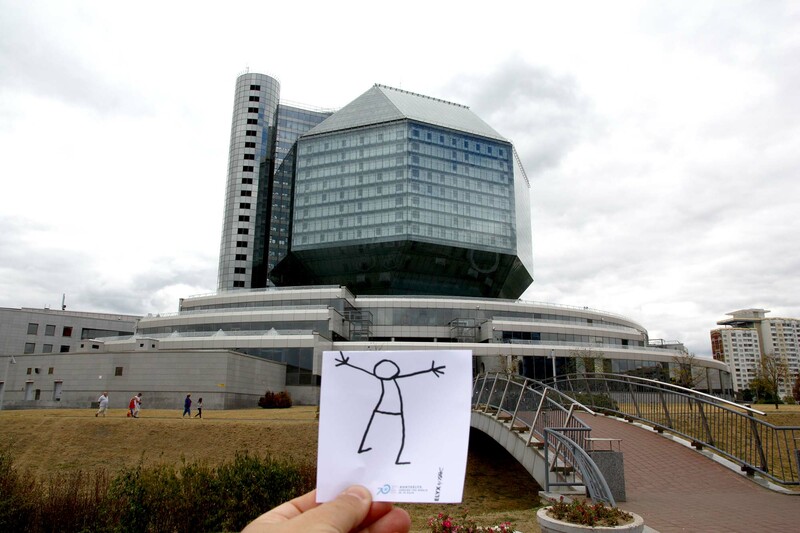 Elyx could not leave Minsk without visiting the National Library of Belarus that in 1957 joined the global network of the United Nations depository libraries. 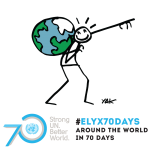 Elyx leaves the library all the wiser and is happy to know that theNational library will be part of the UNDPI initiative called ‘Turn the World UN Blue,’ (hyperlink) by lighting up in blue on October 24th to mark the 70th birthday of the United Nations. Already fascinated by the original shape and design of the library, Elyx can only imagine how wonderful it will be on that day! Elyx is ready for a good nights rest and looking forward to its next trip to yet another continent. Elyx is next expected in Ghana, the birthplace of the seventh Secretary-General of the UN, Kofi Annan.